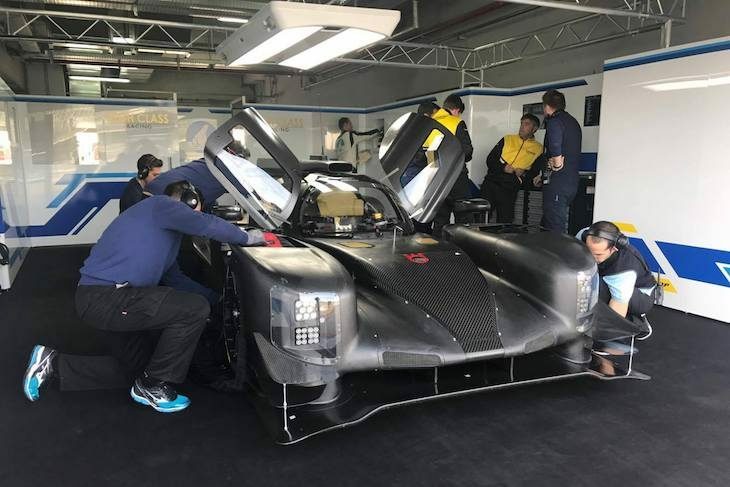 DSC’s Stephen Kilbey is out and about this week at Motorland Aragon where a major Dunlop test is underway that features a whole host of ELMS and FIA WEC teams. Amongst them is the first opportunity to catch up with one of the surprise entrants for the 2017 ELMS as High Class Racing step up to LMP2 with their new Dallara P217 Gibson. So have you had some running before this test? “No, not much running time at all – Dennis had 11 laps (at Aragon) and I have had 8 but the car feels really great. “This is really our first test with the car, and the first time for both of us in LMP. It’s not our first time here but pretty much everything else is new so we are trying to keep our expectations low. What’s the main aim at the test here? “This our first time together at a track as a full team and we all have a lot to learn both individually and as a whole. “Dennis has to adjust to the car too. “Overall there is nothing that we need to learn to function, but a lot that we really have to improve to get the very best performance we can out of what we have here. What made you choose the Dallara? “It was difficult without a results list that you can analyse to see what the best car is for such a new look class. “We spoke to all of the manufacturers and for us, we were just more comfortable with Dallara to make that commitment and, to this point, we are still very happy with our decision. We are both loving the car. “We’ll do the whole season, just as a pair, to try to optimise the driving time for both of us. And is there more testing planned prior to Silverstone? 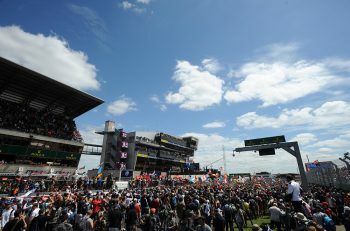 “We hope to get about 5 days before the Monza Prologue and then, if plans go as they should, a single day between Monza and Silverstone just to get everything settled in for the first race. 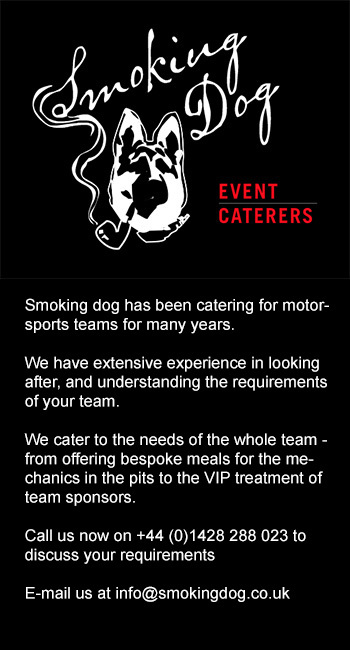 “We believe that the more calming comfortable the team are the better. Much better than pushing to have an additional day of driving is to have the team settled and balanced ahead of a race meeting. So tell us something about the origins of the team? “My father started High Class Racing in around 1989, he was a factory team for Maserati in the old days! That’s where I first got the passion for motorsport standing next to him. He stopped in around 2004 and then Dennis and I raced together for a Danish team at the Spa 24 Hours, worked really well together and enjoyed that experience. Was being part of the ELMS paddock in the Renaults an opportunity to see what LMP2 was all about? “It was more that these new cars that persuaded us to take a look. They look ‘brutally good’ and, if you ever have to go into a new series the best option is to go in right from the start of something. The new LMP2 cars gave us that opportunity. 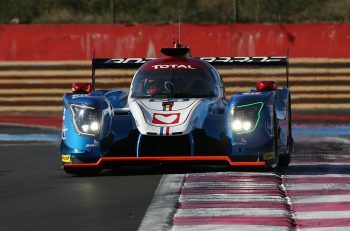 You’re one of the very few teams running a new LMP2 that is not on the Le Mans entry, was that always part of the plan? “It is, of course a huge dream for all of us and first of all we said “let’s do it” but then we thought about it in more detail. We hadn’t driven the car, we really didn’t have a team that had worked together so then we thought. Maybe it would be better to wait until 2018. “The aim now is to go to Le Mans in either 2018 or 2019 when it feels right for Dennis and I. The team have amazed me, they are more than ready to go right now but we’ll go when Dennis and I are comfortable. We don’t want to go and run at the back, we want to make something out of it when we decide to go. Previous article What’s New Pussycat? Hello Kitty In The Blancpain Sprint Series!